Browse acetic-acid-(vinegar) suppliers by country and region. Filtered Vinegar We do have a filtered version of our Vinegars Our filtered apple and grape Vinegars are also available in 0.5 liters bottles. 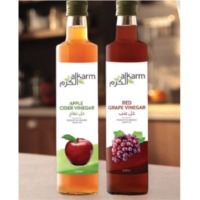 Vinegar At Alkarma, We understand that choice matters. 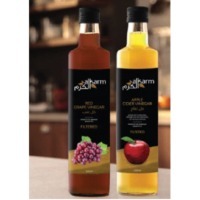 Our Apple and grape Vinegars are available in 0.5 liters bottles or in 5 liters gallons. Soap, detergents, water treatment chemicals, mining chemicals, agricultural products, minerals like raw bauxite, barium sulphate, bentonite, hydrated lime, quick lime, petcoke, sulphur, ferric chloride, sodium silicate, nitric acid, acetic acid, chlorohexidine gluconate 20%, povidone iodine, cetrimide. We are professional supplier for research chemicals in China,We focus on providing customers with high quality products, competitive price, best service and timely delivery. Our product as follow Dibutylone ,Etizolam,2-FDCK,5FADB,ADB-F,4F-PHP,U-48800,BK-EPDP,Hexen, 4-FEA,FUB-AMB, AB-FUBINACA,4-CMC,Methoxyacetylfentanyl(MAF),2NMC,4CEC,4CPRC,4MPD, ,furanylfentanyl,N-PVP ,Flualprazolam ,Diclazepam ,Nitemazepam ,mexedrone, U-47700,MMB-2101,MMB-Chminaca ,FlubroMazolaM,3-oxo-2-phenylbutanaMide , Benzeneacetic acid. Short on time? Let acetic-acid-(vinegar) sellers contact you. Phosphoric acid, acetic acid, nitric acid, sodium lauryl sulphate ether 70%, linear alkylbenzene sulfonate (las), sulfuric acid, eco-friendly snow remover. Acetic Acid, Ascorbic Acid, Benzyl Acetate, Benzyl Alcohol, Benzyl Benzoid, Caustic Potash, Caustic Soda - Flakes, Caustic Soda - Pearls, Glycerin, Hydrochloric Acid (HCL), Methly Chloroacetate, Methyl Monochloro Acetate (MMCA), Mono Chloro Acetic Acid (MCA), Monochloroacetic Acid Aqueous Solution, Mother Liquor of Monochloroacetic Acid (ML-MCA),, Phospheric Acid, Sebacic Acid, Sodium Laureth Sulfate (SLES), Sodium Monochloro Acetate (SMCA), Sulphuric Acid. Acids, acetic acid, citric acid, formic acid, l tartaric acid, phosphoric acid, alcohols, iso butanol, iso propyl alcohol, n butanol, n propanol, phenol, tertiary butyl acohol, amines, acrylamide, di iso propylamine, diethanolamine, dimethyl amino propylamine, melamine, monoethanolamine, triethanolamine, triethylamine, anhydrides, maleic anhydride, phthalic anhydride, aromatics, mixed xylene, toluene, chlorinated solvents, chloroform, epichlorohydrin, methylene choride, per chloro ethylene, cyanides, acetonitrile, esters, ethyl acetate, ethers, methyl tertiary butyl ether, glycols, diethylene glycol, neo penyl glycol, propylene glycol, inorganic chemicals, ammonium chloride, caustic potash, caustic soda flakes, potassium carbonate, soda ash light, sodium bi carbonate, intermediates, bisphenol a, dimethyl formamide, dimethyl sulfoxide, pentaerythritol, tetrahydrofuran, ketones, acetone, cyclohexanone, methyl ethyl ketone. Gherkins in acetic acid & brine. Chemical, soda ash light, glacial acetic acid. Acetic-dye tex (replacement of acetic acid), formic rub-tan(replacement of formic acid). Shijiazhuang Standard Chemicals Co. Ltd.
Caustic soda, formic acid, boric acid, glacial acetic acid. Glycine, taurine, glycocoll, aminoacetic acid, methionine, lysine, alanine, food chemical , food additive, amino acid, zinc glycine, feed additive, fodder additive.